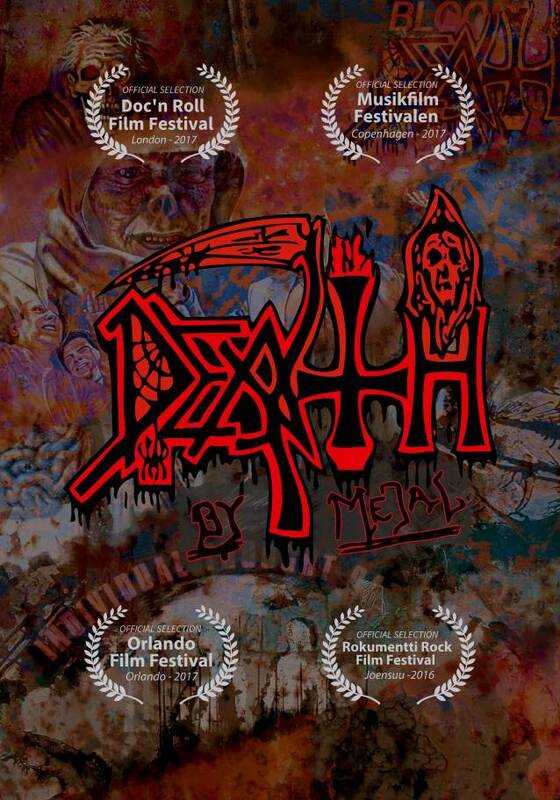 “Death By Metal”, the definitive documentary on DEATH frontman Chuck Schuldiner, will receive its long-awaited DVD release on July 6 via MVD Visual. A trailer for the film is available below. Featuring exclusive interviews, rare footage and demos, “Death By Metal” is the first film of its kind to tribute Schuldiner‘s unparalleled role in the evolution of heavy metal. It was written and directed by Canadian filmmaker Felipe Belalcazar. The documentary takes a thorough look at the history of metal and Schuldiner‘s life’s work as a musician. What was unique about Schuldiner is that he never took himself or the genre too seriously. He bravely pushed the envelope and couldn’t care less about what textbook metal was supposed to be like. Although the documentary mainly focuses on DEATH and Schuldiner, it is also a compact information package about the early stages of death metal and how it evolved into its current shape. International cassette tape swapping, dedication and the will to develop as musicians are the key factors for the existence of this infernally fast-paced dark music. Schuldiner‘s life and career was tragically cut short by cancer in 2001.